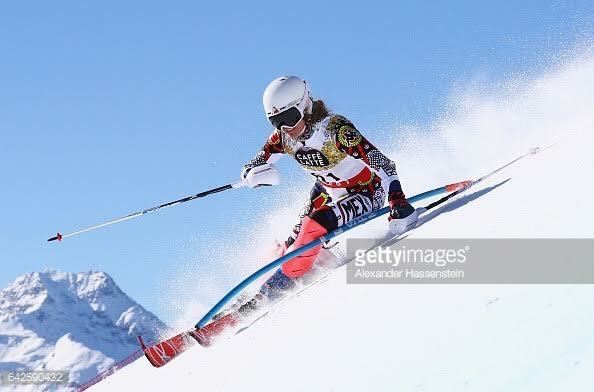 Sarah Schleper competes in the Women’s Slalom during the FIS Alpine World Ski Championships on February 18, 2017 in St Moritz, Switzerland. Veteran Olympian Sarah Schleper of Vail on Monday morning sent out a passionate plea for help going to what would be her fifth Olympic Games in Pyeongchang, South Korea, next month. The dual Mexican-U.S. citizen grew up in Vail and is raising her family here. Coming off a recent knee injury, Schleper — a former World Cup winner — is still going for the gold after first appearing in the Nagano Winter Olympics in 1998. Happy New Year! Wishing everyone the happiest year of light for 2018. I am writing to look for Olympic support. If I had a big corporate sponsor I wouldn’t be searching, and if I didn’t think it was the right thing to do I also wouldn’t be asking. This is my grassroots campaign at crowdfunding. Label it like this: Ultra-veteran athlete needs support for 5th Olympics. This is a shot at a dream. My shot, Sarah Schleper, 5 Olympics. I’ve got some years left, but I ain’t a kid. You can calculate I’m over 5 x 4 years old, plus all the years it took me to get to the first Olympics. Anyway, I’ll never tell. Hello, I’m Sarah from Vail and I was born to Ski Race. February 19, 1998 Nagano Japan. It was my golden birthday. I raced my second Olympic event, the slalom, didn’t get the gold. 2002 Salt Lake City Utah. Had another birthday, pre-released in the slalom. Didn’t get the gold. 2006 Torino Italy. Stopped counting birthdays. Julia got the Gold (GS). Had a baby, he turned 2. 2010 Vancouver BC Canada My best performance in Olympic Games: slalom, 10th. 2015 I am now a Mexican citizen. I am the wife of a Mexican and the mother of two. Track record is good. I have some results. But I had the thought… I might still get the Gold. December 6th 2017 I passed my return to snow sports test. I skied on December 8th. The numbers next to the years are just that, the numbers, same as the year, same as my age, what matters is what you do while your there. Do you manifest results, relationships, smiles from fans, adrenaline, overcoming race nerves and fears, strength, grace, humility, pride, heart? Olympic Spirit, sharing the stage with the world, connecting the world. Sport has always been about competition, but the Olympics are about union! The joining of nations. This is what participation on the Winter Sports ‘Olympic’ Stage for a 5th time means to me. If I am competing for Mexico or competing for the US it’s still the same standard, about holding up a candle with the rest and giving it my best. Today: January 8, 2018, 32 days to go. 32 days; please support me; a mother, wife, skier, Olympic Dreamer. It’s length of my career. Throw the old dog a bone. Roof Roooooaaaaaaaaar. Rooooof. The Olympics are less than two months away. $5.00 because five dollars from a thousand is $5,000. If my story inspires A THOUSAND. I’m in, all in. Thanks for loving my crazy ways and helping me get all the way to Pyeongchang South Korea! Watch for me at the Opening Ceremonies. I will be carrying the Mexican flag.